As you may know, The Strokes are playing next weekend’s Governors Ball festival in NYC, headlining Friday (6/3) with Beck, Robyn and more. (Friday tickets are still available.) 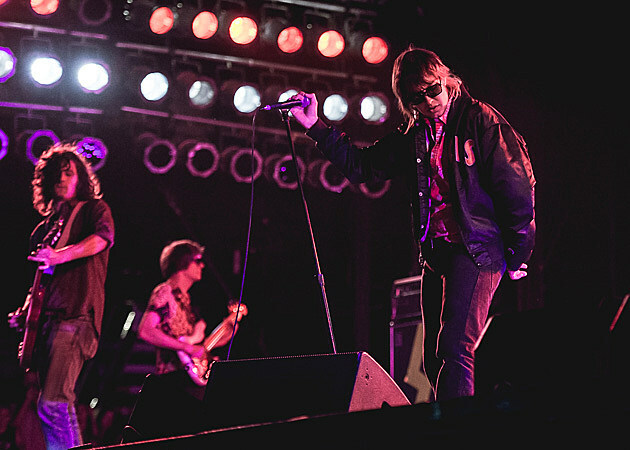 A few days prior to that, The Strokes will play Port Chester’s Capitol Theatre on May 31 with Rey Pila. Tickets for that show go on sale Friday, May 27 at noon, but there will be a presale on Thursday (5/26) and you can sign up to get the code. The show will be exactly two years after they last played the Capitol Theater ahead of headlining Governors Ball. All dates listed below. In other news Strokes frontman Julian Casablancas is getting a show on satellite radio nextwork Sirius XM. Titled Culture Void, its an opportunity for him to play music from the fringes. “I’m excited to have an hour to get weird on a big platform,” Casablancas said in n official statement. Culture Void will premiere May 26 at 10AM Eastern.